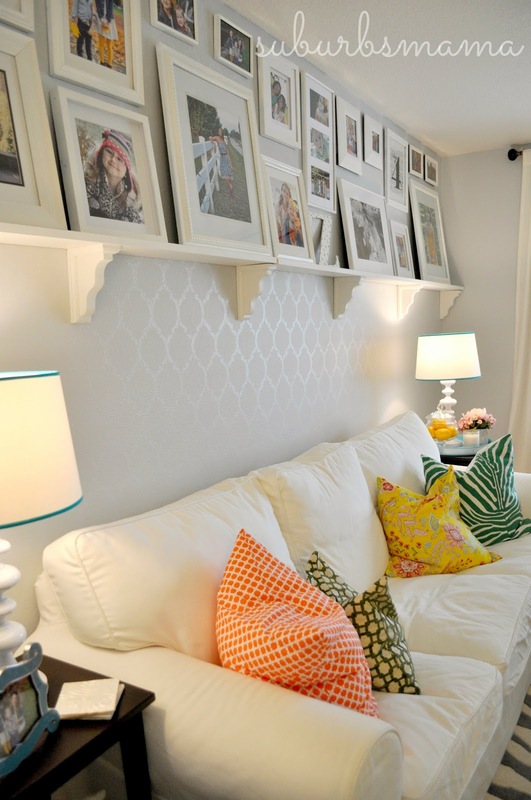 As you may know, I love stenciled walls! In fact I have stenciled 4 rooms in my house using cutting edge stencils! When Cutting Edge emailed me and asked if I could do a review and giveaway, I was so excited! I am one of those people who will get every penny for my dollar, I reused the Moroccan stencil 3 times! 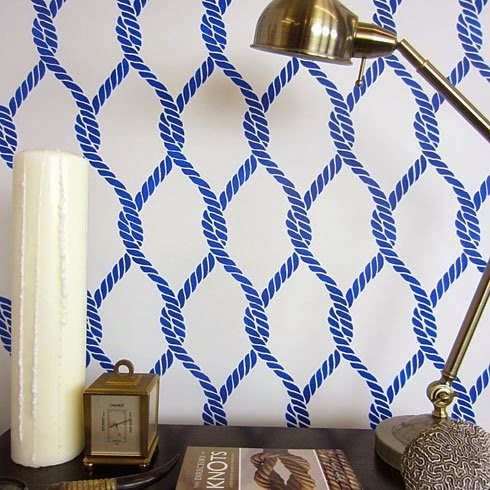 Just use different paint colors and you have a whole new room! In my living room, I did something very subtle. 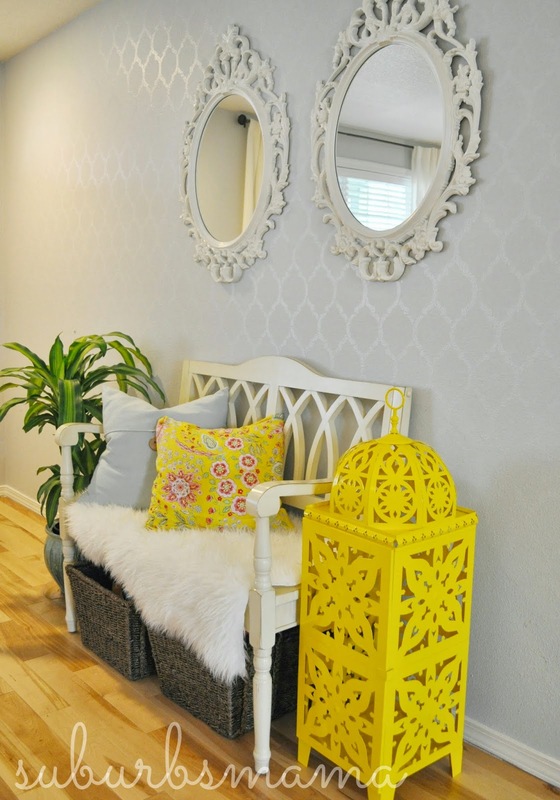 I used Sterling paint color by BEHR in flat all over the wall, for the stencil, I used the same color in high gloss. 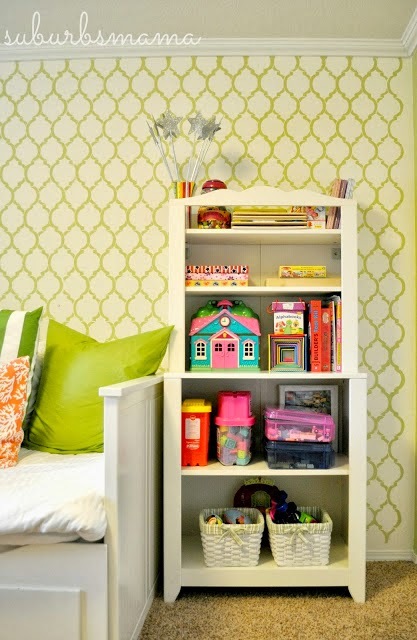 In the playroom, I used a creamy white base color and a green for the stencil. It gives it a fun pop of color! I honestly love cutting edge stencils! There are so many possibilities, and if you get tired of it, just paint right over it. 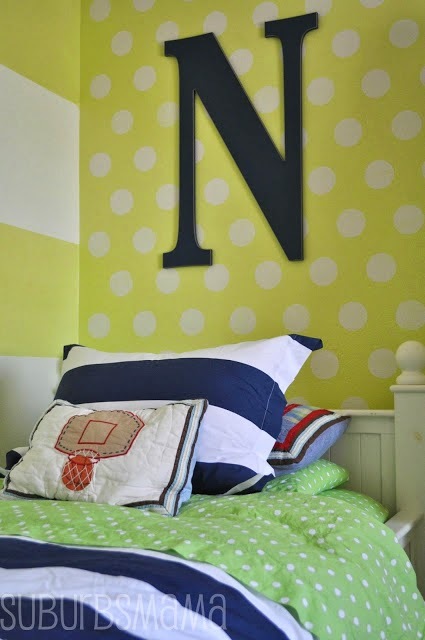 I have already been eyeing these two stencils, how perfect are they for a girls and a boys room? Now is your chance to win $50 towards a stencil of your choice! 1. Leave a comment on this post telling me your favorite stencil from the Cutting Edge Stencil website. Leave your email address so I can contact the winner. * Leave a separate comment for each entry, a total of 6 entries per person. 1. Contest ends on Sunday March 30th, 2013 at 12:00 pm. 2. One winner will be selected at random and announced (and also notified by email). If the winner does not respond to our email within 48 hours, a new winner will be selected at random. 3. Winner must be US resident. i was just looking at their stencils that other day! i love the charlotte all over. it is so pretty! 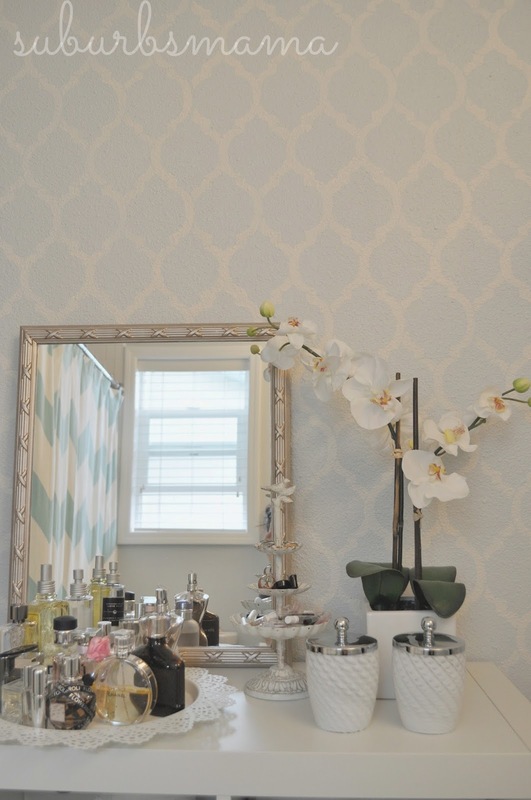 i am redoing the girls room right now and would love to use one of these! I liked you on FB - I have no idea why I haven't before now tho! I subscribe to their blog! Following you both on Pinterest under Debra Lee. I love the Otomi stencil. It reminds me of my time in Mexico and Ecuador. 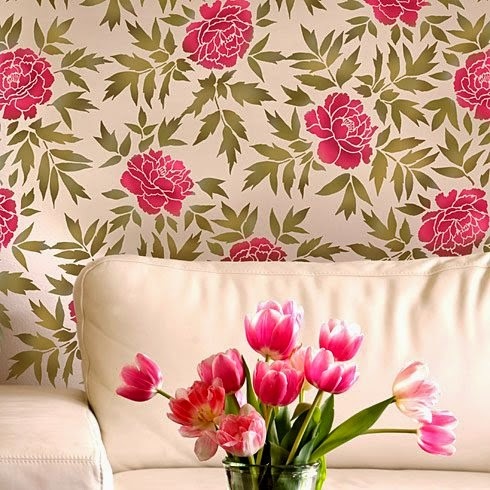 I love the Otomi pattern!